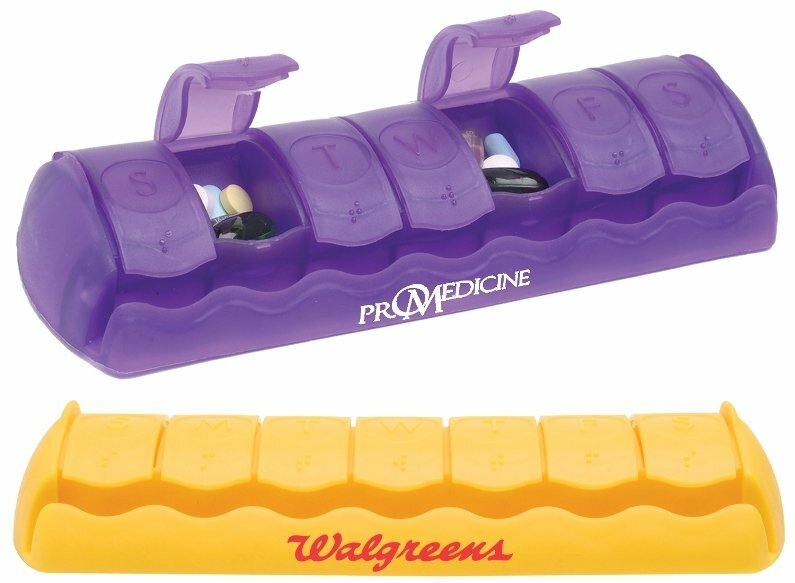 Daily dose or weekly meds get organized with this useful 7 Day Med Minder Pill Box. Applications include clinics, senior fairs, retail pharmaceutical promotional item. Features are quality plastic case, 7 day compartments embossed & Braille. Variety of pill box colors, overall size is 7" w x 1 1/8" h x 2 1/2" deep. This promotional giveaway is Made in the USA. Price includes a one color imprint on the front area 3 5/8" w x 3/8" h.